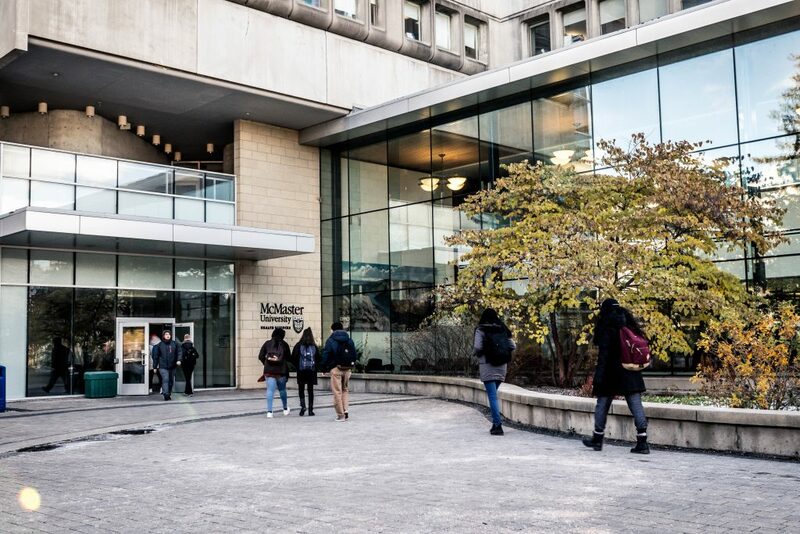 McMaster students may see changes in the Health Sciences Library study space and operational hours as soon as this year. Student Representative Assembly health sciences representatives Devin Roshan and Tushar Tejpal are working closely with HSL director Jennifer McKinnell to redistribute Sunday hours to Saturday and replace bookshelves with more cubicles and desks. The initiative is part of the SRA health sciences year-plan and aims to address concerns about limited study space and hours in HSL. “When I was elected, I had a lot of conversations with students who were saying that it was very difficult to find cubicles, particularly during midterms and exams,” Roshan said. Roshan and Tejpal have been meeting regularly with McKinnell over the summer and into the school year. While short-term changes were difficult to implement, the plans for a summer 2019 renovation have recently been approved. The renovations will involve removing some bookshelves downstairs and replacing them with cubicles or desks. In addition, new study rooms may be constructed under the main stairway, and some computers may be removed in favour of desk space. The project is not related to the current closure of the reading pavilion room downstairs. Limited library hours have long been a concern of students and a priority of the SRA reps. In the past, SRA representatives have been able to successfully lobby for extended hours as the exam period approaches. For example, thanks to student advocacy, Thode library now stays open until 3 a.m. during the second half of the semester. The health sciences representatives have been working to implement longer hours dating back to the 2016-2017 year. However, extending HSL past the typical 10:45 p.m. closing time is not possible, largely because the library is located in the same building as the Hamilton Health Sciences Centre, which has jurisdiction over the closing time of the library. “In the past, representatives have advocated for extended hours, like in Thode, but that is actually not possible due to security reasons,” Roshan said. This year’s representatives have taken a different approach, looking to redistribute hours rather than simply extending them. “My plan is essentially to look at what hours are not being utilized and how we can better use those hours for students,” Roshan said. 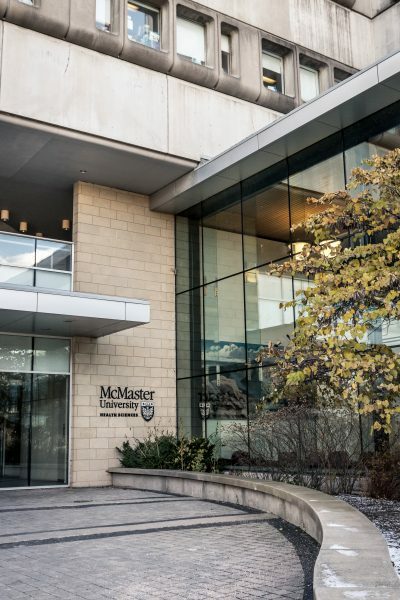 Specifically, Roshan and Tujpal are advocating for a redistribution of two or three hours from Sunday to Saturday, so the library will open later on Sundays, but stay open longer on Saturdays. Right now, the library closes at 5:45 p.m. on Saturdays, and opens at 10 a.m. on Sundays. According to the health sciences representatives, statistics show that there are relatively few students coming into HSL on Sunday mornings. This plan is also more feasible than previous ones in terms of staff costs, which have been another factor that complicates extending hours. “It is essentially a more cost-effective plan for us. Instead of asking for more funding, we are just redistributing hours so that we’re still at a balance for the cost,” Roshan said. 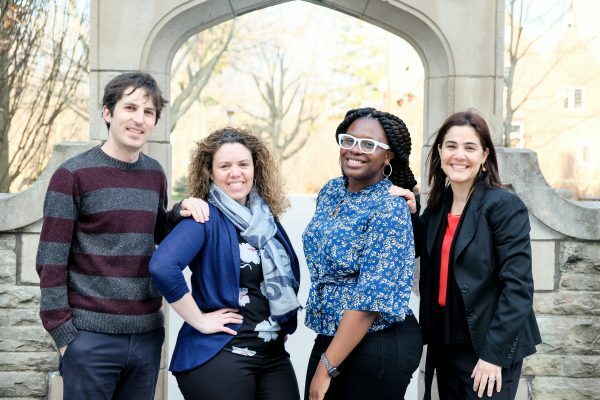 The next steps for the health sciences caucus for the extended Saturday hours project is to organize a health sciences faculty petition to get support for redistributing hours. “Once we get a compiled list of over 80 to 100 individuals, we are going to present that information to Jennifer McKinnell and from there, she can go above to her superiors and present that and then hopefully that will lead to change,” Roshan said. The renovations to the library are planned to begin in the summer of 2019 and finish before the fall. Roshan and Tejpal are optimistic that a pilot project for extended Saturday hours will begin this year.